tag: BeYouBling: Paparazzi January Promotion Gives You 15% MORE FREE!! Paparazzi January Promotion Gives You 15% MORE FREE!! 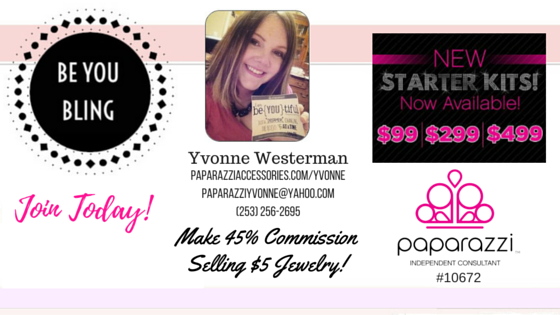 THIS MONTH (January 2015), Paparazzi is giving away MORE FREE jewelry in starter kits - 15% MORE. That's an extra $25 to $150 value this month!!! New consultants get 5-30 EXTRA pieces in their kits!!! Whether you just want to test the waters, or you’re ready to dive on in, Paparazzi has the starter kit you’re looking for. Choose what works for you—become a Consultant to place your order!